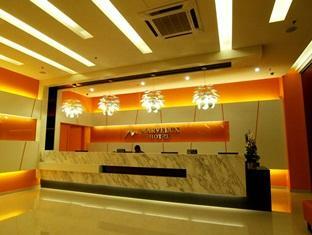 Marvelux Hotel Melaka, Located in Malacca, Malacca, Malaysia. 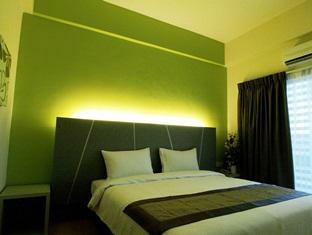 Marvelux Hotel is the newest hotel to be launched in the UNESCO World Heritage City of Melaka and will be open to the public in October, 2011. This 6-storey hotel block with 100 rooms comes complete with modern amenities and facilities and is located along Jalan Kota Laksamana fronting the open sea or to be precise, the Straits of Malacca. Marvelux Hotel provide among the best in the hospitality trade – with top class services along with its own characteristic charm, maximum comfort and total care for its guests. 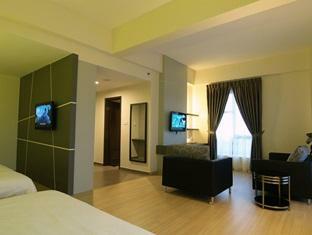 Marvelux Hotel is strategically located within the Melaka Historical City, along the sea front and ideally within close proximity to all the UNESCO World Heritage sites – approximately 6 minutes drive to reach the Dutch-built Stadhuys, St Paul’s Hill, Independence Memorial, Sultanate Palace, Chinatown, Heeren Street and Jonker Street or popularly known as ‘Jonker Walk’ museums and other interesting sites. 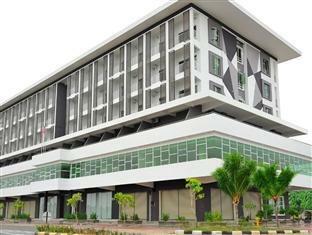 It’s also not too faraway from the Tourist Information Centre and Melaka Sentral where all the major public transport such as taxis, buses and out-station coaches are sited and a short distance away to the shopping malls, souvenir centres and food outlets and restaurants serving popular local delights such as Nyonya Laksa, Satay, Asam Pedas, Hainanese Chicken Rice, Satay Celup, Ikan Bakar Cendol, Nasi Briani, Indian Banana Leave Rice, Thosay, Nan Tandori Chicken and many more savoury dishes and cuisines . Marvelux Hotel has a total capacity of 100 rooms where each and every room is specially designed to cater to the comforts of the hotel guests. All the rooms have an open balcony overlooking the spectacular view of the wide open sea or better known as The Straits of Malacca – the busiest sea lane in the world! The rooms are fully air-conditioned with a mix of Suites, Deluxe and Superior rooms and are fully-equipped with all the up-to-date modern facilities and comforts. Among the wide range of facilities equipped in the include LCD TV, Telephones, a Mini Bar, Coffee & Tea Maker, Shower Bathroom, Hairdryer and a Safe Box. Marvelux Hotel has been built based on a unique conceptual design – which provide ample up-to-date facilities and amenities with the primary aim of giving maximum comfort to the guests. Based on modern chic designs, the hotel generates lots of space, thus providing delight and joy to whoever that walks through the doors and corridors of the hotel lobby and reception area. 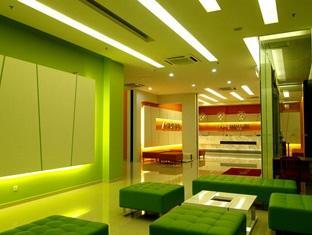 There are also meeting rooms providing the necessary facilities. To ensure the guests’ primary safety, 24-hour security services are in place. There are also ample covered car parking spaces. 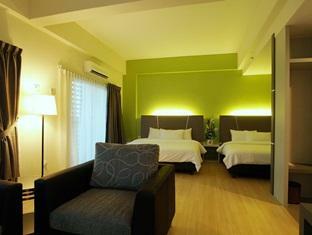 Above all, the hotel also has facilities and provisions made for the disabled. 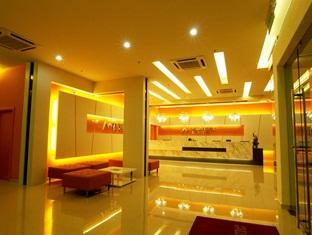 The spacious hotel lobby surrounded by glass-panels accentuates the warm ambience. The modern cosy furniture such as sofas and chairs are backed with warm tonal coated coloured paints such as apple green, orange and pearl white. Overhead LCD televisions are placed in strategic corners to provide entertainment while the guests sit and relax or enjoying their drinks. Green plants and beautiful flowers as well as paintings are adorned all over to lend coolness and delight. 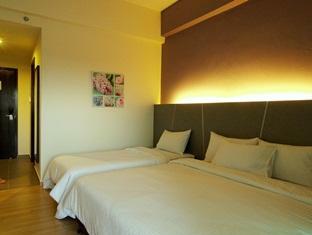 Two lifts and washing rooms are also located with the lobby’s vicinity. Free Water Drinking Facilities are also provided. The Reception Area is painted in orange, apple green and glowing white and all the guests will be warmly welcomed by the gracious and hospitable hotel staff and attended to with efficiency, warmth and friendly service. To facilitate and attend to all the guests’ needs and requirements, both the Manager and Executive Offices are located on the Ground Floor. There are several popular restaurants and a cafe providing a wide variety of excellent local and western cuisines and beverages for the convenience of the guests which are located on Level 1.